Blank word search printable to use to practise Valentine's Day vocabulary and engage students' brain with puzzle creation. Kids love to create their own word search puzzles and exchanging each others' to solve them. 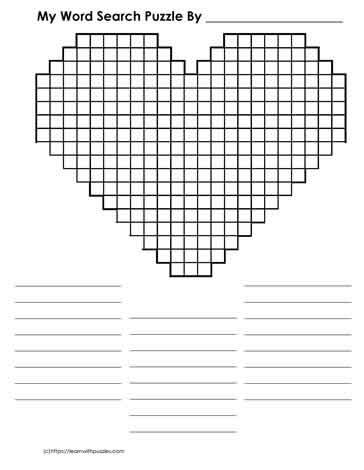 This 23x18 Valentine's Day blank grid is better suited for students in later primary and grades 4,5 classrooms. For earlier primary have them use the 15x15 Blank Word Search For Valentine's Day puzzle grid.